It's too bad all churches aren't as eccentric and wildly enthusiastic as Mount Kneel Down Non Denominational Center. While the congregation praises THE LORD, other members are continuing to feed their habits of greed and anger. 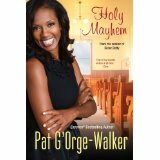 I felt really upset with Deacon Whistle who has the nerve to embezzle funds from the church. As I looked at him, I also looked at myself. I'm not embezzling church funds, but I'm far from an ideal Christian. Let's just say I'm taking care of my hateful habits without the help of detectives and a family that includes members like the two Godmothers Joy and Patience. I am also without the help of cousins like Porky and Lil' P. Each of these characters I have named are fun, really hilarious is the right term. 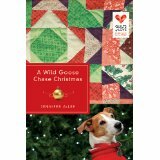 This is a wonderful novel about a family's move from Georgia to Philadelphia, South to the North. AYANA MATHIS helped me keep track of the time in American History by adding the year at the beginning of the chapter. 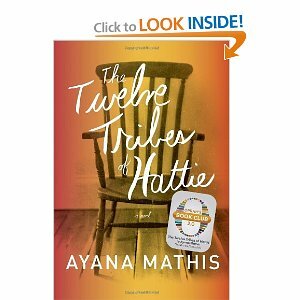 THE TWELVE TRIBES OF HATTIE begins in 1925. The novel ends in 1980. It is amazing how many important issues are covered in the novel: marriage, death, child rearing, Mental health, motherhood, family harmony or disunity. Really, I began to understand more deeply all families are really alike in one way. There is the struggle to understand one another with love while each person in the family reaches out for change. I would add change to the list of issues involved in the novel.